I like all of the characters in The Nutcracker, but this one may be my fav - the Sugar Plum Fairy! It’s one of, if not THE most popular song from the play. 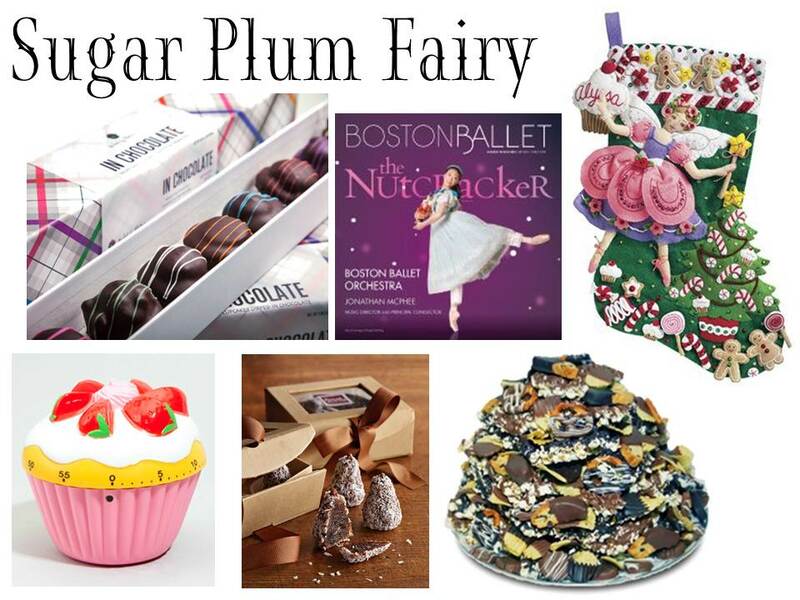 · Reader Amy is a big fan of Baked by Melissa cupcakes. Well, Melissa has really stepped things up with her chocolate-covered cupcakes. Yes, you read that right. And they are deliverable! Order. Now. · Like I said, The Dance of the Sugar Plum Fairies is one of the best songs from the play. Why not buy a CD of the music to get you in the festive spirit. Here’s one from the Boston Ballet. · After watching Toddlers & Tiara’s tonight, I decided that moving forward I will rename Christmas, Glitzmas. For that person on your list that loves some bling, wrap your gift in this Sugar Plum Fairy stocking from Target. · Cupcakes include sugar and you know I love cupcakes (I had to work this in here somehow!) so how awesome is this cupcake time from Fred Flare! Amazeballs. · There is also a company out there called Sugar Plum Chocolates. Seriously look at what they sell. This is the Chocolate Everest (they also have the Chocolate Kilimanjaro). After a base of chocolate, this thing contains popcorn, chocolate dipped potato chips, peanut butter cookies, chocolate dipped Oreos, chocolate dipped biscotti and chocolate dipped pretzels. Wowza. FYI - Tomorrow is my FINAL Nutcraker post. That will make one reader happy that told me that all the posts were too difficult to keep up with. Bah Humbug!